New Delhi Nov 22- India on Wednesday successfully flight-tested the air variant of BrahMos supersonic cruise missile from a Sukhoi SU-30MKI fighter jet to hit a target in the Bay of Bengal completing the country s tactical cruise missile triad. The test also made the Indian Air Force the first air force in the world to test a missile of this category from an air platform. 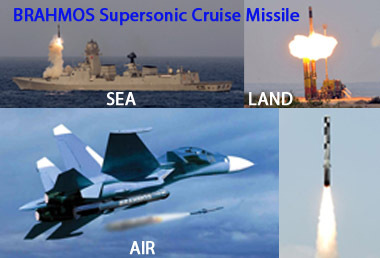 Currently BrahMos is the only cruise missile that can be fired from air land and sea. Prime Minister Narendra Modi and Defence Minister Nirmala Sitharaman lauded the success. The missile integrated with the long-range fighter is seen as a force multiplier for the Indian Air Force. 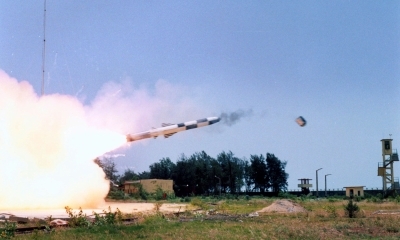 This was the first test of the missile s air version against a sea-based target. The missile was gravity dropped from the Su-30 after which the two-stage missile s engine fired up and propelled it toward the set target. The Indian Air Force said the launch was smooth and the missile followed the desired trajectory before hitting the target ship. "The BrahMos missile provides the Indian Air Force a much-desired capability to strike from large stand-off ranges on any target in sea or land with pinpoint accuracy by day or night and in all-weather conditions. "The capability of the missile coupled with the superlative performance of the Su-30 aircraft gives the IAF a strategic reach and allows it to dominate the ocean and the battlefields " the IAF statement said. The Defence Ministry announcing the test s success said BrahMos is world s fastest supersonic cruise missile with a multi-platform multi-mission role and now capable of being launched from land sea and air. "BrahMos created history on November 22 after it was successfully flight-tested for the first time from the IAF frontline fighter aircraft Sukhoi-30MKI against a sea-based target in the Bay of Bengal " a Ministry statement said. "The successful maiden test-firing of BrahMos Air Launched Cruise Missile (ALCM) from Su-30MKI will significantly bolster the IAF s air combat capability from stand-off ranges " it said. Prime Minister Narendra Modi tweeted: "Delighted on the successful maiden test firing of BrahMos ALCM from Su-30MKI. Congratulations to all those associated with this remarkable feat." Sitharaman also congratulated the DRDO and Team BrahMos for the success. Strategic expert C. Uday Bhaskar hailed the test and called it a technological accomplishment. 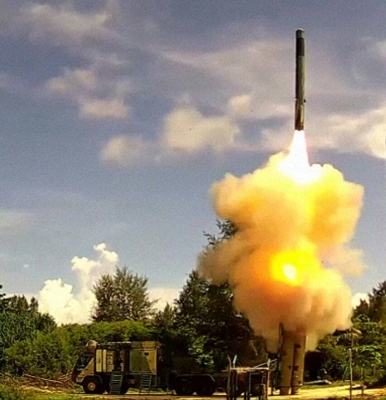 "This is a big achievement for India s integrated missile programme and both the warhead design and the guidance competence acquired albeit with Russian cooperation enhances India s overall ordnance delivery profile " Bhaskar told IANS. "A credible and fully operational air launched cruise missile capability will enhance India s trans-border strike capability in a significant manner. This may be the only such supersonic ALCM and to that extent it is a significant technological accomplishment " he said. 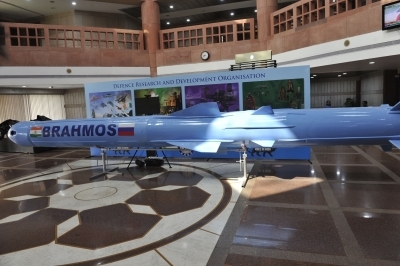 BrahMos ALCM weighing 2.5 tonnes is lighter than the land and sea versions of the missile which weigh around 3 tonnes but is also the heaviest weapon to be deployed on India s Su-30 aircraft. The aircraft has been modified by Hindustan Aeronautical Ltd to carry the weapon. The Su-30 considered the most potent fighter jet with India was the choice for fitting the Brahmos missile as it has a airframe of titanium and high-strength aluminium alloys fit for a high-speed terrain following profile. The fighter jet s aerodynamic configuration increases the aircraft s lifting effectiveness deflects automatically and allows high angle-of-attack flights. According to informed sources the modification to the fighter includes hardened electronic circuitry to shield it from the electromagnetic pulse of a nuclear blast. Along with the aircraft the missile was also modified to make it carry a reduced booster and fins for stability. The missile can be released from a height of 500 to 14 000 metres (1 640 to 46 000 feet). After release the missile falls freely for 100-150 metres then moving into a cruise phase at 14 000 metres and finally the terminal phase at 15 metres. On Wednesday the missile was fired by the test crew comprising Wg Cdr Prashant Nair and Wg Cdr KP Kiran Kumar. The chase aircraft was flown by Gp Capt Badrish N Athreya and Sqn Ldr Angad Pratap.